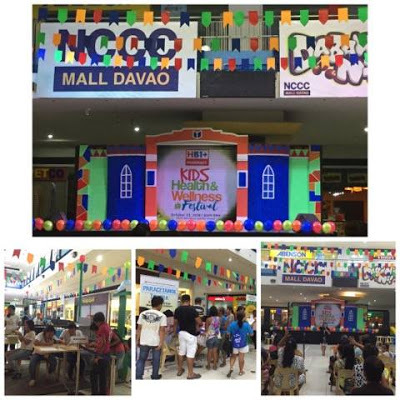 In celebration of Children's month this October, NCCC and HB1 Pharmacy sponsored the Kids Health & Wellness Festival last October 23. This gave their HB1 patrons a one-of-a-kind wellness treat to promote health and wellness for children. Excited parents trooped with their children at the NCCC Mall Activity Center for fun, games and wellness activities. There were also educational talks on parenting and child care. Meanwhile, several pharmaceutical and consumer companies offered food/product sampling, free laboratory testing and other promotions for the participants. PLDT SME Nation continues its mission in providing the most innovative business solutions tailor fit to every entrepreneur's requirements, as it introduces Filipinos to new and more integrated way of learning with Smart Digital Campus. 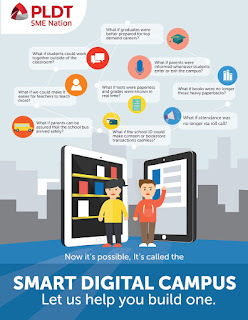 Specifically built for educational institutions, PLDT's newest suite of wireless solutions redefines the learning experience for students, teachers and even parents with the most advanced digital platforms and internet connectivity available today, Smart Digital Campus promises an affordable package equipped with monitoring and e-learning systems: Smart Gatekeeper, Smart Tracker and Smart E-Learning. 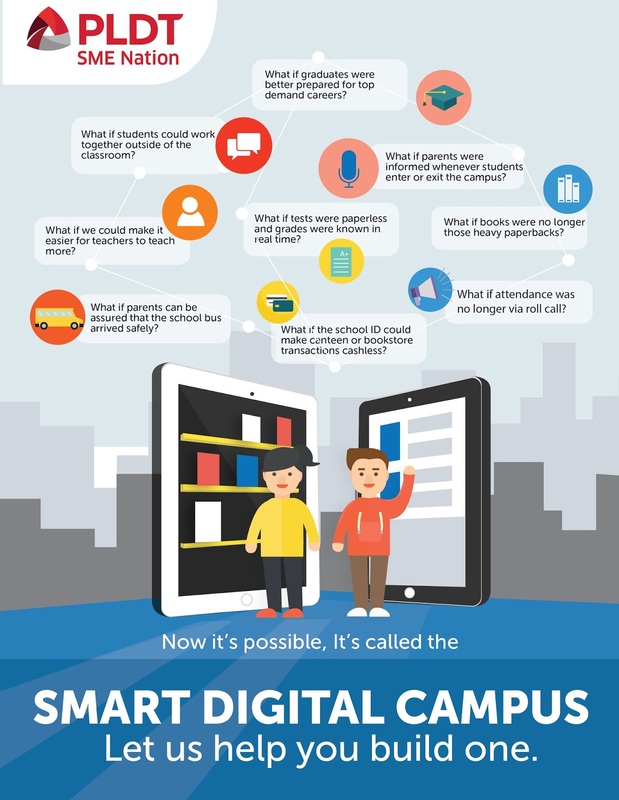 These three smart steps assure parents and teachers that students' activities are secured and made more efficient from the moment they step in campus until they get home, Smart Gatekeeper is an automated attendance monitoring solution that records students' entry and exit in real time. It also enhances student safety by automatically updating the parents via SMS whenever the student enters or leaves the school premises. Complementing this is an all-in-one solution designed for 24/7 tracking of all school transportation vehicles called Smart Tracker which utilizes GPS technology to enable schools to monitor the location of their school buses in real time.